I’ve decided I am going to branch out a little with the game selections on here but this next choice should come as no surprise to anyone who has been reading recent posts. There are still tenuous links to Origin since this is/was Chris Roberts favourite game or at least that’s what he told PC Review some years back. He also supported the Kickstarter project for a sequel more recently and it’s a title with a clear influence on Wing Commander and more particularly Privateer. I am of course talking about Elite which was written by Ian Bell and David Braben and published originally on the 32K BBC Micro all the way back in 1984. It’s a game that sold by the bucketload and remains well-known to this day but originally couldn’t find a publisher in a story that isn’t all that dissimilar to what you would expect to hear these days for anyone trying to market an original concept. After first being turned down by Thorn EMI (who cited most of the game’s major features as reasons for their decision), the game was ultimately taken up by the relative minnows at AcornSoft. Once it had found its foothold on the BBC however it ended up being ported to most of the major computers of the time. Later still in 1991 an enhanced version called Elite Plus was published on the PC with filled polygons but largely unchanged gameplay which is the version I played the most. I spent long enough on this to reach the coveted Elite status and it’s a testament to the original game that it stood up so well with just minor enhancements. Sequels of varying quality came after that followed eventually by last years Kickstarter for a further entry in the series. It’s an IP that is still synonymous with the BBC though and when I’ve mentioned to people that I’ve just bought a BBC of my own, the first thing I’m invariably asked is whether I’ll be playing Elite on it. 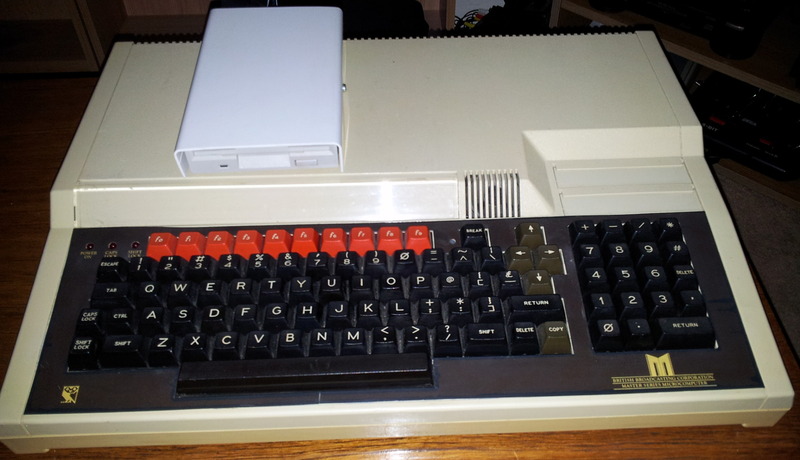 The answer to that is a resounding yes but before I get to that, a brief history of the BBC Micro. In 1979 the education department at the BBC decided to start a computer literacy programme aiming to teach and promote the use of computers. This was an ambitious project which would involve a TV series to act as an introduction with books to follow on and expand upon this. 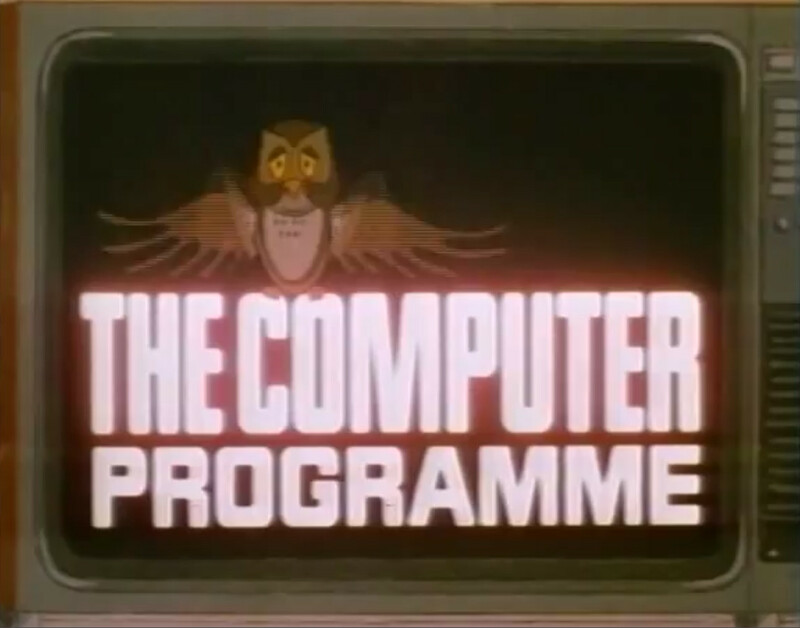 The TV series was unimaginatively called “The Computer Programme” and ran for 6 episodes on BBC1. I watched all of these a while back and it’s certainly an interesting insight into the fledgling life of the home computer whilst also being incredibly dated and quaint. If you want to know how much the world has been changed by computing in the last 30 years, this sort of show makes it hit home. Further series under various titles followed on a similar theme which were less educational and branched out into uses of computing in industry and the home. The content on “The Computer Programme” was simplistic but at least showed the sort of thing that was possible with some simple programming in an era when this was all new to the vast majority of people. It’s hard to imagine anything like this on BBC1 now, let alone back when we only had 3 TV channels but this was back in the day when ITV broadcast several hours of educational programmes every weekday morning so it was far from unprecedented. The scheme had been in planning for 4 years by the time the TV programme made it to air but in many ways the timing couldn’t have been better. When broadcast in 1982, Britain had possibly the highest concentration of computers per home of any country led largely by Clive Sinclair’s drive for affordable computing started by the ZX80. The government had also backed the computer literacy program ultimately putting computers in the vast majority of schools, many of which incorporated the TV show into their curriculum. One thing that quickly became apparent when setting up the scheme was that there wasn’t a computer in existence which fit the requirements of affordability + a robust enough BASIC programming language to be suitable for education. The new TV show needed a new computer. Requirements were drawn up and bids invited with the main competition being between Sinclair and Acorn. This battle was somewhat acrimonious and while I’m sure it strays well from the real story, the BBC film drama Micro Men covers this and is a recommended watch for those interested. Sinclair ultimately lost out to Acorn but went on to make the 48K ZX Spectrum which dominated the home market in the UK for some years to come. Acorn had the lucrative school contract though and their machines were a part of the education of many children of the 80’s myself included with over 1.5 million units manufactured. As for the hardware, it’s far more convincing as a serious computer than the ZX Spectrum ever was but the price tag at the time more than made up for it. £400 for a Model B was enough to mean that not many people had these in the home with both the C64 and Spectrum offering being far cheaper alternatives. For those that could afford the asking price the BBC still had a lot going for it and came with an array of interface options which allowed for adding disk drives, hard drives, extra memory, extra processors, light pens, acoustic couplers and even laser discs. It was relatively easy to use it to interface with switches and external hardware which saw it often used in industry, a famous example being rotating the dishes at Jodrell Bank. I ran into one myself when doing short contract a handful of years back for a company who were still using one to control industrial machinery. They were now down to their last working computer and finally needed to move onto something more modern. It’s a testament to the build quality that it had kept it going in that environment for so many years. My own desire to own a BBC reached tipping point after Retro Revival recently. You can’t go to an event like that and not come back wanting to get hold of some of the hardware for yourself. The one I picked arrived in nearly fully working order but my experience is that any piece of retro hardware always needs something fixing. In this case it was only some dead keys on the keyboard. Thankfully it’s an extremely easy computer to work on and even has instructions on the back for taking it apart with all the screws that need to be removed marked. This would not happen on any electronics you buy these days. It’s all ready for some gaming now anyway, but I’ve gone on quite long enough already so it will have to wait for part 2. This entry was posted in Off Topic and tagged bbc, elite, space sim by Pix. Bookmark the permalink.